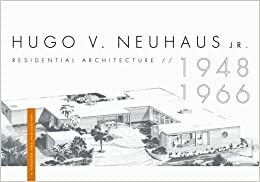 Hugo V. Neuhaus, Jr.: Residential Architecture 1948-1966 was published in 2007 honoring Neuhaus's work. Image available on the Internet and included in accordance with Title 17 U.S.C. Section 107. NEUHAUS, HUGO VICTOR, JR. (1915–1987). Hugo V. Neuhaus, Jr., architect, was born in Houston, Texas, on March 5, 1915, the son of Hugo Victor and Kate Padgett (Rice) Neuhaus. He was a graduate of St. Paul's School, Concord, New Hampshire (1934), Yale College (A.B., 1938), and the Graduate School of Design, Harvard University (B.Arch., 1941). He served in the United States Army Air Force from 1941 to 1946, attaining the rank of major. Upon returning to Houston in 1946, Neuhaus worked briefly for the architect Kenneth Franzheim (1946–47), then entered the office of C. Herbert Cowell. He became Cowell's partner in the firm Cowell and Neuhaus in 1949. Following its dissolution in 1962, he practiced with Magruder Wingfield, Jr., until 1967. From 1967 until his retirement in 1980, Neuhaus practiced under the name of Neuhaus Associates. He studied at the Graduate School of Design at the same time as the New York architect Philip Johnson. 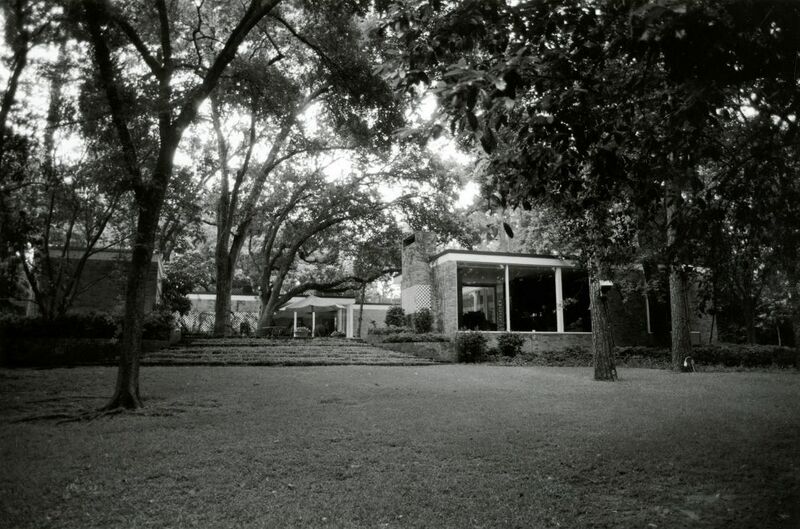 When Johnson was commissioned to design a house in Houston for Dominique (Schlumberger) and John de Menil in 1949, he asked Neuhaus to serve as his local associate architect. As a result of this collaboration Neuhaus came under the influence of the Chicago architect Ludwig Mies van der Rohe, Johnson's mentor, an influence to which almost the entire body of Neuhaus's subsequent work testified. Hugo V. Neuhaus, Jr.'s House, 2004. Courtesy of the Texas Historical Commission. Image available on the Internet and included in accordance with Title 17 U.S.C. Section 107. Interior Courtyard of the Nina Cullinan House, 1953. Courtesy of Paul Hester and OffCite. Image available on the Internet and included in accordance with Title 17 U.S.C. Section 107. McAllen State Bank Courtyard, 1961. Courtesy of Paul Hester and OffCite. Image available on the Internet and included in accordance with Title 17 U.S.C. Section 107. Beginning with a house for his family in the Houston suburb of River Oaks (1950), Neuhaus produced a series of buildings that consistently displayed the refinement, precision, and serene urbanity that characterized him personally. These were the attributes visible in the Stude-Stevenson House (1951), an exquisite house for Nina J. Cullinan (1953, demolished), the Runnells-Pierce Ranch House near Bay City (1956), and the Detering Bay House, Bay Ridge (1959, demolished). These features were even more intensely present in the buildings that Cowell and Neuhaus designed during the architect David Haid's tenure with the firm from 1960 to 1962: the Headlee District Office Building, Midland (1960), the Shell Pipeline Company Laboratory and Warehouse (1960), the Shell Development Company Auditorium and Research Building, South Side Place (1961), the McAllen State Bank Building, McAllen (1961, defaced), and the Letzerich Ranch House, Friendswood (1962). Neuhaus adhered to this discipline in most of his later work as well: the Hudson Ranch House near Bay City (1965), the Wood House, Palestine (1965), the Rice Hotel Laundry (1966), the Letzerich House (1966), the Aline McAshan Botanical Hall for Children at the Houston Arboretum (1969), and the Sharp House (1978, with Graham B. Luhn). In contrast, his Winston Memorial Building at St. John's School (1971) was designed to conform to the architectural character of the school's campus. Hugo V. Neuhaus, Jr.'s Grave. Image available on the Internet and included in accordance with Title 17 U.S.C. Section 107. Neuhaus Theatre within the Alley Theatre, Houston. Courtesy of the Alley Theatre. Image available on the Internet and included in accordance with Title 17 U.S.C. Section 107. Neuhaus was married twice, first to Mary Wood Farish, the widow of his cousin William Stamps Farish, Jr., in 1947, and, following her death in 1979, to Olive McCollum in 1985. He was the stepfather of William Stamps Farish III. Neuhaus was chairman of the board of trustees of the Alley Theatre, chairman of the Texas Commission on the Arts, a life trustee of the Museum of Fine Arts, Houston, and a member of the board of trustees of the Contemporary Arts Museum, the Armand Bayou Nature Center, the Texas Institute for Arts in Education, Texans for Quality Education, Friends of the Governor's Mansion, and the Theatre Communications Group. He was chairman of the building committees of the Museum of Fine Arts when Ludwig Mies van der Rohe was selected to design the additions that completed it (1954) and of the Alley Theatre when Ulrich Franzen was selected to design its permanent building (1964). 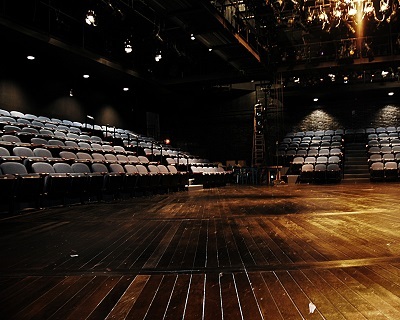 In 1987 the Arena Stage of the Alley Theatre was named in honor of Neuhaus. Neuhaus became a member of the American Institute of Architects in 1949 and was elected to fellowship in the institute in 1972. He was a parishioner of Christ Church and served the parish as senior warden and a member of its vestry. He was a member of the Bayou Club. He died in Houston on July 21, 1987, and is buried at Glenwood Cemetery. American Architects Directory, 1955, 1970. Mark Hewitt, "Neoclassicism and Modern Architecture, Houston Style," Cite, Fall 1984. Houston Chronicle, July 24, 1987. Handbook of Texas Online, Stephen Fox, "NEUHAUS, HUGO VICTOR, JR.," accessed April 19, 2019, http://www.tshaonline.org/handbook/online/articles/fne43. Uploaded on June 15, 2010. Modified on June 22, 2017. Published by the Texas State Historical Association.